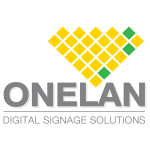 With a goal to provide the highest quality digital signage solutions, ITSL has partnered with OneLan, one of the most reputable names in the industry. 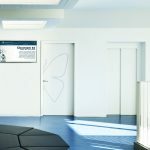 OneLan is known for its flexibility and scalability, and ITSL ensures that you are able to get the most out of your investment through effective design and installation. 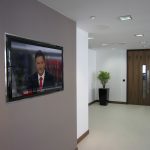 ITSL install and maintain digital signage in the UK and have reference sites across London and the wider UK. 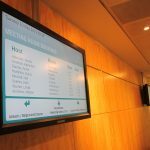 We are respected London digital signage experts. 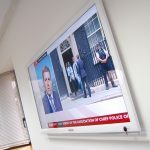 We are able to supply every aspect required for a successful digital signage roll out including system design, installation, graphic design for screen layouts and on-going maintenance services. At the end of the day, the focus of our service is to help you convey your message/brand image as effectively and positively as possible. At ITSL, we believe in delivering greater value for our customers through exceptional solutions and service. OneLan is known for providing enterprise level standalone and end to end digital signage network solutions. 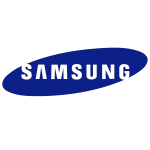 It is a name trusted by numerous well-known organisations across the world including many multinational corporations as well as universities and educational institutes known for being ahead of the technological curve. Digital signage has a plethora of applications in numerous industries including healthcare, education, corporate, and retail. 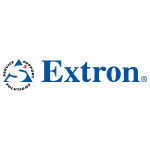 Focusing on solutions that are specific to your needs, we align our technology to meet your business goals. Some of the major features of these solutions include intuitive menus and easy to follow instruction wizards that can turn the tiresome task of creating and publishing a message into a simple matter of a few minutes. 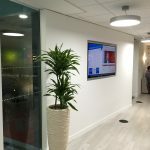 Utilising our understanding of the industry and OneLan technology, we can deliver digital signage solutions that have more than just the aesthetic appeal. ITSL boasts a long list of satisfied clientele who have chosen our services again and again. It is not just the satisfaction we deliver through high quality solutions, but also through our exceptional customer service. Our team of highly qualified and immensely trained engineers work alongside our clients to understand their needs and craft out a solution that perfectly fits all requirements and expectations. 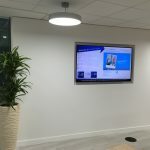 As a team that focuses on clients’ requirements, we strive to cut down the installation as well as the operational cost of digital signage solutions. Call us today to let our experts help you find a suitable signage solution and incorporate it as a prominent element of your business.